Pokémon Go is the biggest breakout hit of the year, and though it may be starting to slip from its colossal popularity peak, it’s still a very well played game that millions enjoy on a daily basis. Part of what made it so eye-catching is its augmented reality feature. But as cool as that is, having a psuedo-hovering Pokémon superimposed over the real world doesn’t feel very much like reality. To make the game more immersive, we’d need some way for the pocket monsters to interact with the environment they’re in, and have it react back. How would that be possible? A research team at MIT believes it’s found a way — through the use of micro-vibrations. “Essentially, we’re looking at different frequencies of vibration, which represent a different way that an object can move. By identifying those shapes and frequencies, we can predict how an object will react in new situations,” Abe Davis, the lead researcher on the project, told Digital Trends. 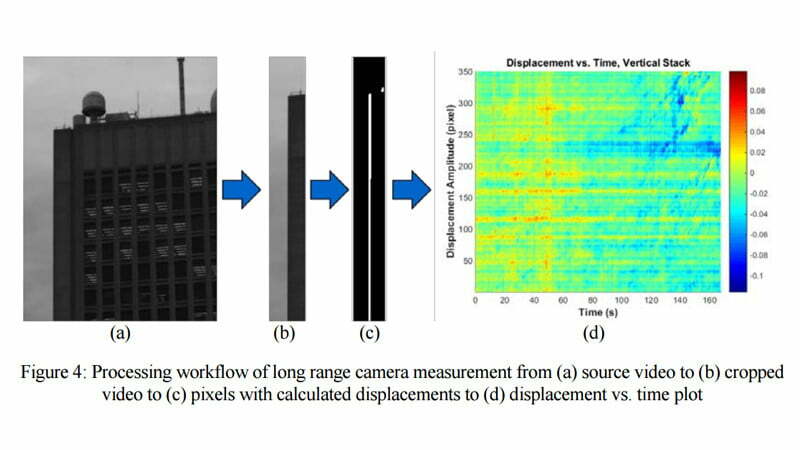 Along with fellow researchers Justin Chen and Fredo Durand, they’ve built upon previous research they conducted on the concept of visual microphones, to draw even more data from standard video. “One way to think about it, is if I point my camera at a bush and I watch the wind rustle that bush for a whole minute, I’m watching a bunch of tiny movements of the bush, which are responses to various forces,” Davis explained. Those movements are categorized as vibrations operating at various frequencies. Then, software can take the video and analyze those vibrations. It can figure out the types of forces at play to create those movements, and then guess at how larger forces, or different combinations of those same forces, may make the object react. By recording the bush’s reaction to the wind, the software can eventually figure out how it might react to a brick — or Pikachu. Extrapolating more than just visual data from video became a focus of Davis’ interest throughout his time at MIT, and it was ultimately the core of his dissertation. However, explaining just how visual data from a video can be used beyond the norm isn’t easy. When Pokémon Go was released, he saw a great way to break it down. Davis is a Pokémon Go player, having reached level 19 at the time we conducted our interview. 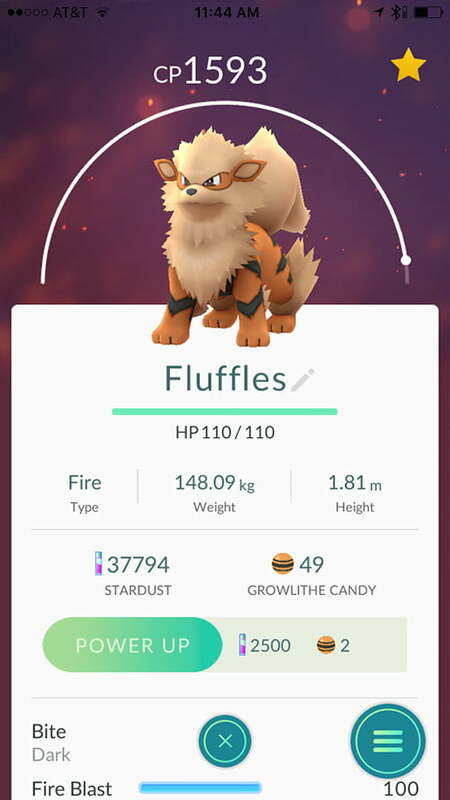 We were even introduced to his most powerful Pokémon — Fluffles, a CP 1,592 Arcanine, who’s been tearing up the gyms in his local area. Fluffles was caught at the SIGGRAPH conference where Davis and his fellow researchers first showed off vibration model technology. To use Pokémon as a showcase, Davis set up his phone on a tripod pointing in a specific direction. He then proceeded to catch a Pokémon, and then captured footage from that exact same position. “I caught it and recorded about a minute of video, using the tripod for stability. I took that video back and processed it using the code I had written,” and the result was the video you see above. A bush from the real world, which reacts (somewhat realistically) with a digital creation, is much closer to the sort of augmented reality future we’ve all been promised. Indeed, it even goes further than some of the things we’ve seen with Microsoft’s Hololens and the Magic Leap. Because of that, we shouldn’t expect this sort of technology to appear in the next Pokémon Go patch, or even its sequel. 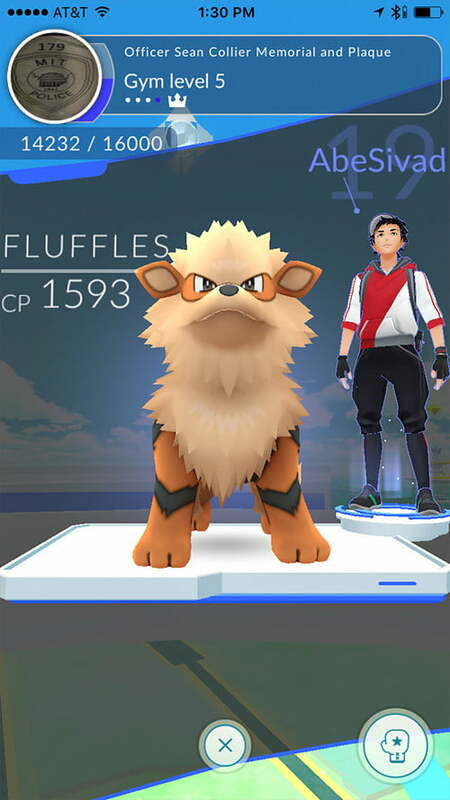 “This might be something that’s more suitable for Pokémon Go 4 or 5, than Pokémon Go 2,” Davis cautioned. That said, Davis and his fellow researchers had been working on this well before Pokémon Go was released, and there are many other potential applications for this technology beyond catching pocket monsters. What if, instead of rendering are entire explosion of an object or building, film makers could simply record video of an object and utilize this sort of algorithm to create a barebones animation? This has the potential to save huge chunks of time. Of course, the artificially created movement that Davis has shown doesn’t look quite as good as the latest CGI blockbuster, but that’s not due to the weakness of the technique. Davis simply isn’t an artist. He has no idea how to polish his algorithm’s results. Another exciting use for the technology may be found in architecture, as well as insurance, where the tech could be used for structural health monitoring. Vibration modes and frequencies are already used in that profession, but they utilize much more complicated capture techniques to acquire the data. If a company can test a building’s structural integrity by just recording some video of it and throwing an algorithm at it, it’d be possible for an intern with a camera to do work that’d previously demand a team of engineers. Obviously, a commercial camera is much cheaper, easier to acquire and easier to operate than the technology this technique could help supplant. But there are certain hardware requirements that have a big effect on how well the algorithm works. As with most video, a tripod is essential. While it wouldn’t be too difficult to separate out vibrations that effect the entire video, versus those that effect subjects within it, that’s a step that can be practically eliminated by using a sturdy vantage point for the camera to rest. The type of camera, and its quality, can be important, too. In one instance, Davis and his team wanted to track the vibrations from a Ukelele. But because of the way the strings on such an instrument vibrate, it was very important to use a high-frame-rate camera. With all of the potential uses of the video vibration analysis work that Davis and his peers have been conducting, where does the technology go from here? Although Davis plans to continue working on it in the future, he doesn’t have any immediate plans to leverage it for financial gain. There will be no micro-vibrations-from-video start up that Google or some other mega-corporation buys out in the near future. Part of that is because MIT owns the patent, having defensively applied for it. However, you have to imagine that the likes of Microsoft and Magic Leap will be keeping an eye on this sort of technology, as it could be great for augmented reality. Davis himself has now finished his dissertation, a comprehensive paper on all of his MIT conducted research, and will be graduating this September, before moving on to Stanford University for his post-doctorate. For more information on any of Davis’ research, you can find all of his papers and studies on his official site. He also covered several aspects discussed here in his Ted Talk. Just how dangerous are self-driving cars? By attempting o bring internet access to every last person on Earth, tech giants have a new mission. It's also one that will put them into competition with one another -- only this time in space. Have a new Nintendo Switch? Awesome! It's a great console from the moment you turn it on, but owners can make it even better by using a few simple tips and tricks. Here's what every Switch owner should know. Nintendo shook up the gaming world with the Wii and its unique control scheme. Here are our picks for the best Wii games — just don't blame us for having too many Mario titles on the list. HP's new line of workstation laptops includes some seriously durable EliteBook and ZBook designs, with options for high-end, eighth-generation Intel CPUs, 2TB of storage, and discrete AMD Radeon graphics chips. The Razer Core X Chroma external graphics card enclosure is big enough for three-slot graphics cards, with enough space for a 700w PSU and it brings back the RGB lighting of the Core V2 — all for the same price as its predecessor. Microsoft wants to accelerate its sustainability goal of becoming a zero-carbon company. To reach those goals, Microsoft is doubling its self-imposed carbon tax to incentivize business divisions in making sustainable choices. Apple's upcoming MacOS is rumored to include a new native external display support feature. Code-named "Sidecar" the new feature is expected to allow MacOS computers to send app windows to external displays like iPads. If you have your heart set on a MacOS-powered laptop, B&H has a sale on Apple's MacBook that takes the price down to $800. Only select models are on sale right now, but you can score up to a $600 savings if you act quickly. Navi is the next-generation graphics card line from AMD and it's coming in just a couple of months time. When it does arrive, one of its major features may be ray tracing, which has to date been an Nvidia-exclusive feature. Microsoft Chief Product Officer Panos Panay gives us an exclusive peek at the 85-inch Surface Hub 2, and explains how innovation and collaboration will transform your workplace. The Surface Hub 2 could be the most expensive whiteboard ever made, but it should be a powerful and capable one. With the ability to connect several of the 50-inch displays together, the picture at least, should be gorgeous.